Cultures of Democracy in Serbia and Bulgaria. By James Dawson. Burlington, VT: Ashgate Publishing, 2014. 224p. $119.95. 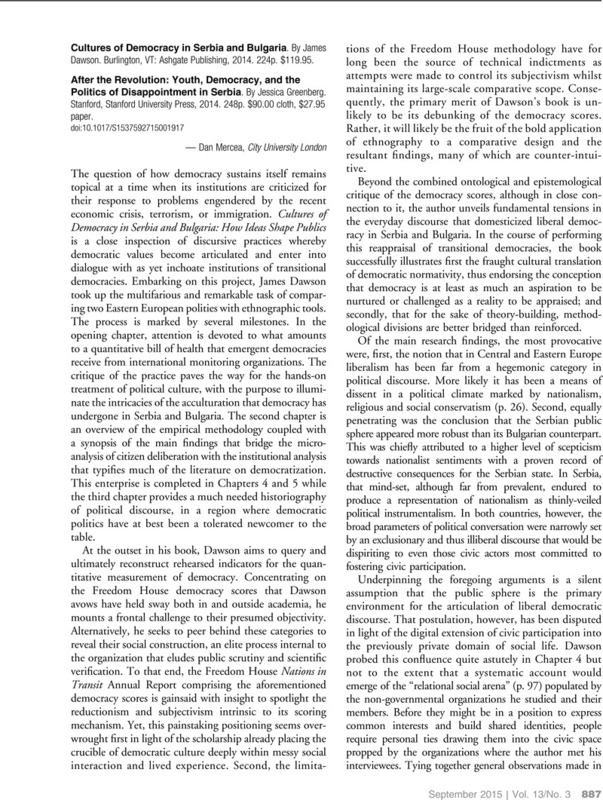 - After the Revolution: Youth, Democracy, and the Politics of Disappointment in Serbia. By Jessica Greenberg. Stanford, Stanford University Press, 2014. 248p. $90.00 cloth, $27.95 paper.